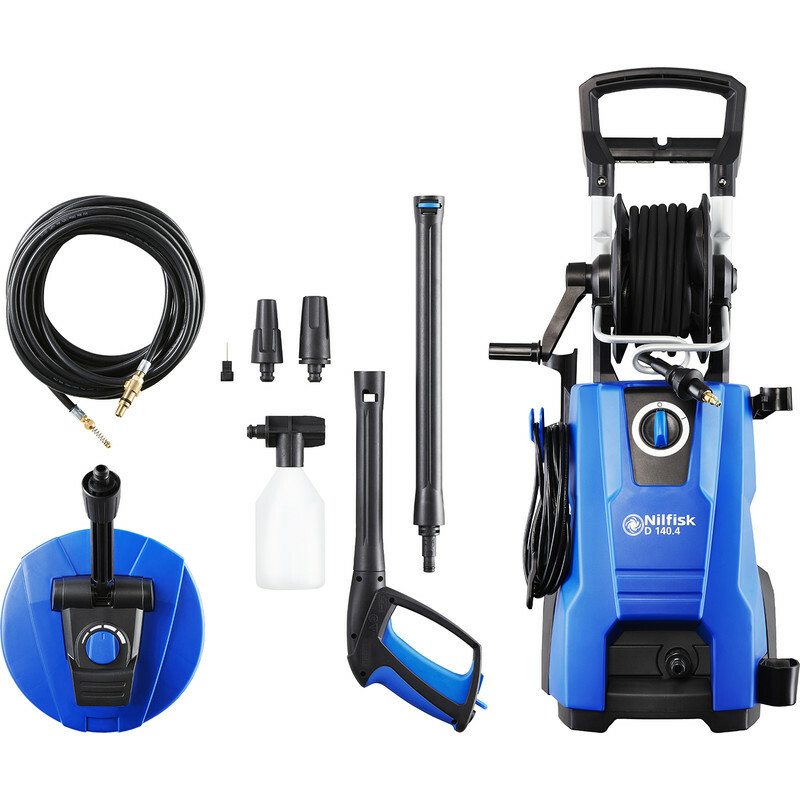 Dynamic pressure washer with minimal assembly. Click&Clean accessory system. Features Tornado pressure regulating nozzle for full control of cleaning force. Telescopic handle and wheels for ease of use. With easy wind integral through feed hose storage reel and on board storage.